All metropolitan trains will run to a Sunday timetable today with extra trains operating for the football at Marvel Stadium. 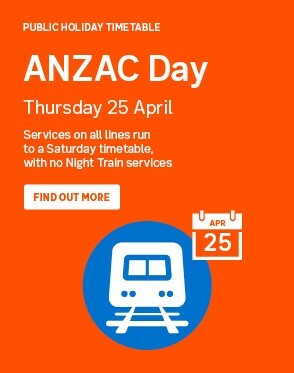 Night Train services will operate tonight. Please check timetables for service information. 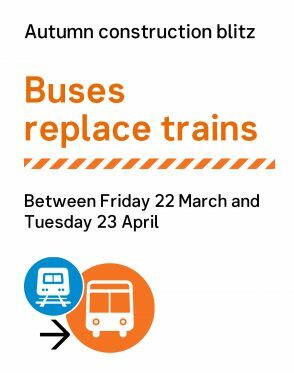 Buses will replace trains between Flinders Street and Westall until last service, Sunday 21 April. This may increase your journey time by up to 60 minutes. >>Further changes to your service will apply until last service, Tuesday 23 April. Visit our Planned Works webpage to see how your journey may be affected. 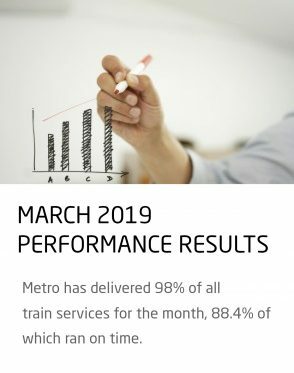 Visit the PTV webpage for details of the Autumn Construction Blitz and upcoming changes to your service throughout March and April. 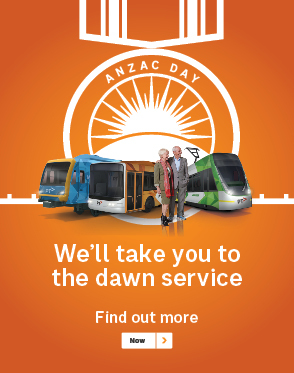 We’re running extra trains to get you to and from VRC ANZAC Day Raceday at Flemington Racecourse on Thursday 25th April. 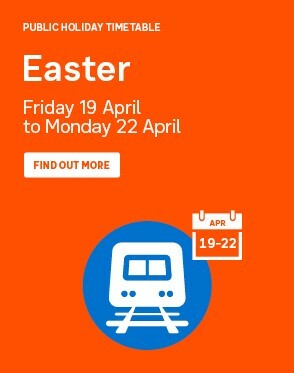 > Between Flinders Street and Moorabbin until last service, Sunday 21 April. 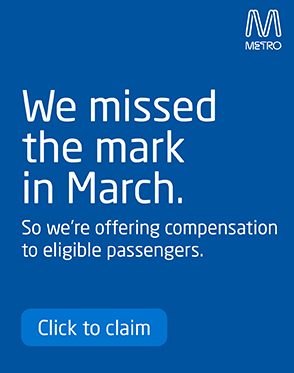 > Between Frankston and Stony Point until last service, Tuesday 23 April. All services will terminate/originate from Burnley until last train, Sunday 21 April due to project works. Passengers travelling towards Flinders Street are advised to change at Burnley for a connecting train service. Passengers travelling from Flinders Street are advised to take a Belgrave, Lilydale or Alamein service to Burnley and change for a connecting Glen Waverley service. Passengers for East Richmond, please speak to station staff at Burnley or Richmond. Check platform displays and listen for announcements for service information. Check our Planned Works webpage to see how your journey may be affected. Buses will replace trains between Flinders Street and Sandringham until 12:30pm, Monday 22 April due to project works. This may increase your journey time by up to 45 minutes. We’re running extra trains to get you to and from Pure Carl Cox event at the Showgrounds, Saturday 20 April. All services will run direct to/from Flinders Street via Southern Cross, not via the City Loop all day due to maintenance works. Passengers for City Loop stations are advised to change at North Melbourne. Passengers at City Loop stations are advised to take a train from Platform 3 and change at Flinders Street for connecting services. Minor delays - journey time may be increased with trains delayed by between five and 15 minutes, however stay with your planned travel. Major delays - significantly longer journey time expected with trains delayed by over 15 minutes. Consider alternative transport while we rectify the delay. Suspended - a section of this line has been suspended due to an unplanned disruption. Replacement buses will be used where possible but an alternative mode of transport should be considered. Works alert - planned improvement works occurring which will alter scheduled services and normally includes the use of replacement buses. Travel alert - special instructions or information exists for this line.